Sometimes, you have a funeral in the neighborhood, and you feel like making a casserole for your neighbors. 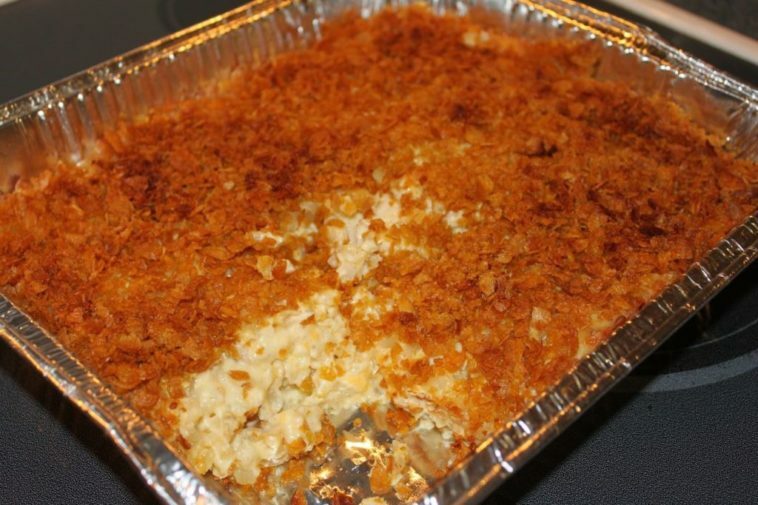 This funeral potatoes will do the job. Check it out. 1 (32 oz) bag of frozen hash browns. 2 (10 ¾ oz) cans of condensed cream of chicken soup. 2 cups of crushed corn flakes. In a greased 9×13 pan, put the hash browns. In a bowl, mix together the soup, sour cream, cheese and butter. Gently blend into the hash browns. Mix together the corn flakes and 2 tbsps of melted butter and sprinkle over the potatoes. In a preheated oven to 350°, bake for 30 minutes. Simple, easy and delicious! This potatoes casserole is very easy to make and it will serve a lot of people.